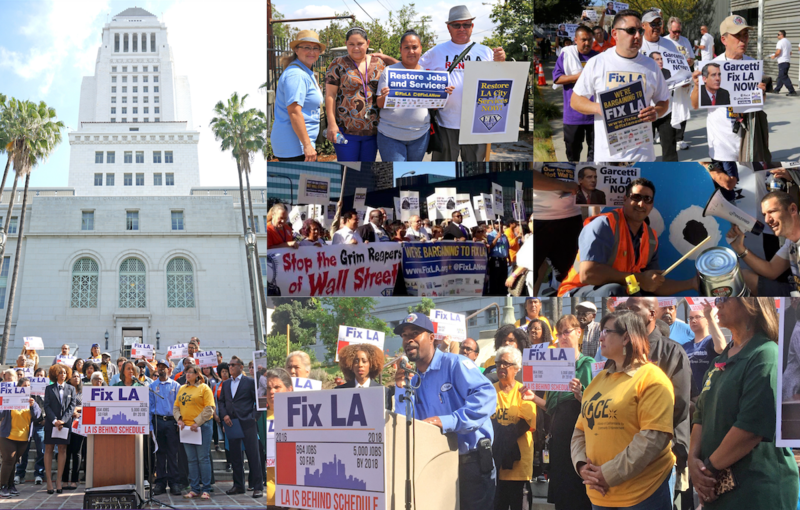 Contract bargaining for our City of L.A. members is coming up – and it’s vital that our agenda reflects the priorities of our union family. So we want to hear from you! Simply fill out this bargaining survey online … or check your snail mail today! You now have until Monday, Nov. 13th at 5pm to submit your paper or online bargaining surveys! The bargaining team nomination petitions are due on or before Nov. 6, 2017 at 5 PM PST. Turn them in to your SEIU 721 Worksite Organizer or Steward – or drop them off at the SEIU 721 offices at 1545 Wilshire Blvd., Los Angeles, CA 90017. The classic saying remains true: United we bargain, divided we beg. Remember this as contract bargaining approaches! Our ability to win a fair contract at the bargaining table depends on our unity – and there is just too much at stake for us to lose everything we’ve fought so hard for. The forces of greed are determined to crush collective bargaining rights across America through their “Right to Work” attack – to fool us into giving up our benefits, our retirement security, our workplace protections, and even our right to unionize at all. But we know our value – and we know that it’s thanks to the hard work of every single one of us that the City of Angels is a world-class metropolis and an economic powerhouse on the Pacific Rim! The more our union works for all of us, the stronger our unity will be and the more effectively we can bargain for a strong contract. So fill out the survey and tell us how you feel – then help make our union even stronger by throwing your hat in the ring to be a potential member of your bargaining team! For more info, contact your worksite organizer or steward – or call Member Connection at (877) 721-4YOU! The more we hear directly from our membership, the more effectively we can all work together. And together, we win!